Calling your products and services customer-centric requires you to go beyond offering guides, articles, blogs, tooltips, support channels, and analytics to your customers. To truly be customer-centric you need to direct the customer to success by using all of those things. Recognizing patterns to understand how your customers operate and how they achieve their desired outcomes or encounter points of failure can help you build a predictive analytics model of your customers’ behavior. Then, by applying these patterns, you can help guide the customer down a path that is more likely to bring them to quicker successful outcomes. This concept is known as nudging. It was popularized in the book ‘Nudge: Improving Decisions about Health, Wealth, and Happiness,’ by Cass Sunstein and Richard Thaler. Their goal was to show how governments and companies requiring decisions, such as insurance, taxes, and retirement savings, can help their customers be more successful while still allowing them to have full decision-making power. In this article, let’s explore applying this concept to customer experience. How can you use nudges within your product, or service offerings to drive value for your customers, and ultimately benefits for your organization? Nudges are ways to default or aim people in a desirable direction. How does this apply to customer experience? Difficult situations or ones that are hard to understand could include a customer encountering an unexpected error, wanting to use a new feature, or not understanding next steps. A nudge can be used to help the customer navigate these situations more efficiently, or at least give them a better chance of being successful with your product. Nudges don’t restrict other behaviors, only act as a default or guide. You don’t want to force a customer to do something they don’t want to do, but rather attempt to positively influence them in a direction you have predicted is better given their situation. An excellent example of this is in retirement savings. With retirement investing, a financial advisor may recommend a more conservative portfolio to someone closer to retirement age, but not restrict them from moving to a more aggressive investment strategy should they want. Alternatively, they would default a younger client to a more aggressive portfolio to start. The advisor is using a piece of information about the customer, in this case age, to provide a recognized better default to best help the client be successful. In a customer experience context, nudges can be used in many areas of your product or service. Let’s explore seven types of nudges you can start implementing today! Customers want to get their support fast and where they are. Nudging customers to the most natural support channel given their current context is a way to lessen their effort and solve problems more quickly. For example, embed your search bar to your knowledge base directly in your application or if you are a mobile application, embed your support chat form directly in-app from the device. Making support more accessible for the customer avoids channel or context switching and funnels their issues to you faster and easier. Making this change doesn’t limit the customer from accessing another channel, but it nudges them to the fastest solution for their current situation. Something as simple as pre-checking an option on a form, or skipping over steps that can be assumed unnecessary in a workflow saves time and effort. Following on from the last point, it isn’t always about creating a better path. Another type of nudge is educating the customer on why something would be a good choice. There are an increasing number of tools in the market that can measure your customer activities on a SaaS platform. Pendo and Heap can track clicks, user paths, and other behavioral analytics about your customers. Using these tools you can provide tooltips or walkthrough guides of new features and complex concepts. These little additions within your user interface don’t stop the user from ignoring the recommendations, but rather show your preferred path to completing a particular action. Imagine if the first time you accessed a screen in an application, it told you why you’re there and what you can do. This concept is popular in gaming. When you load a new game or level, you often get a screen explaining the controls, the goals, or relevant backstory. These things are no less useful in the B2B or B2C world. Writing a good error message is a difficult task. Authoring one that helps nudge the customer in the right direction can be the difference between increasing customer frustration and removing it entirely. There are 2 ways to improve error messages with nudges. The first is when there are ambiguous choices or no choices at all listed in an error. You should nudge the user to solve their own problem, or at least be best enabled to do so. In the case of the below example, the better error message explains what the user needs to check to resolve the failure. In this example, the user has two options; why not let them know what they are? There is no value in making the user hunt for the options to solve the problem. Smile.io is a rewards program provider which sells to merchants hoping to gain customer loyalty through offering points and incentives. Recently they released a feature called ‘Nudges’ (a bit on-the-nose for purposes of this article). By encouraging healthy, positive behavior through guiding users to the outcomes they desire, you’re pre-empting mistakes or the feeling of a missed opportunity. Identify within your product areas where your customer needs a reminder or a little help toward having a more successful outcome and use a nudge to guide them to that success. 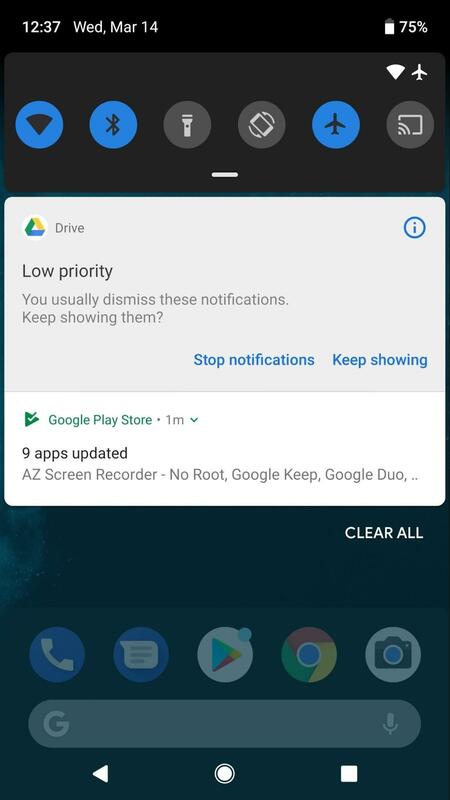 The Android 9 Operating System has a new feature which recognizes when you dismiss notifications from a given app multiple times in a row. It then asks, “You usually dismiss these type of notifications. Do you still want to see them?” By selecting “Stop Showing,” it automatically takes the action of disabling the notifications for you. In this instance, the OS has recognized a pattern, and instead of frustrating you with either unnecessary notifications or forcing you to go through the multiple settings and gestures to turn them off yourself, it handles it for you. In addition, the feature allows the user to say “Keep Notifications” which will stop the prompt from occurring again. This feature doesn’t limit a user’s choice, promotes a beneficial option, and is unintrusive to the experience. A perfect example of a nudge! Take advantage of user feedback and analytics to discover parts of your product where you can save the user time and frustration. Customers often demand impossible solutions or outcomes that may not be in their best interest. Training your support agents to nudge a customer to the best option available is known as alternative positioning. The linked article outlines an example where a customer was looking for a specific shirt, that was currently out of stock. By phrasing your email in such a way that the best alternative is highlighted positively, even if that isn’t the specific solution the customer wanted, you can nudge the customer to make the best available choice, or be satisfied with what you can do to solve their problem. There are many other examples of nudges you can use to help guide a customer to be happier with your product or service. The essence of this concept is to approach your process creation and user experience design with the mindset of helping your customers make better decisions, faster. One of the most important concepts in a positive customer experience is to make your offering easy to use, quick to support and reduce the customer’s time-to-value. If your customers have success, you will have success. Whether your goal is lower churn, more revenue or to improve your overall customer experience, nudges are often a low-effort, high-reward way of making that happen. 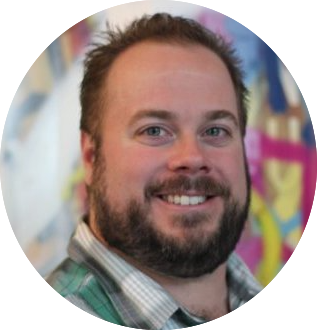 Craig has spent time in more than 30 countries working with support, development, and professional services teams building insight into Customer Experience and engagement. He is driven by building strong, effective support and services teams and ensuring his customers are successful. In his spare time Craig leads a local Support Thought Leadership group. He can be found on Twitter @StossInSupport.